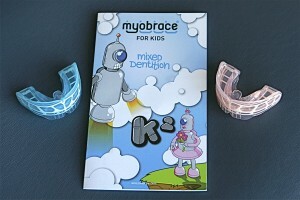 Myobrace is a revolutionary orthodontic treatment that removes the necessity of traditional metal braces. Treatment uses orthodontic techniques to assess the poor oral habits (known as myofunctional movements) that are the real culprit when it comes to misaligned teeth, and uses light forces to move teeth into the desired position. Myofunctional orthodontic techniques have been prevalent in the industry for over 50 years. The process is completed using a series of removable orthodontic appliances that are worn for just a few hours each day and overnight while sleeping. By using the myobrace system daily, and combining with regular activities (to improve breathing, muscle function and tongue position) results in straighter teeth and improved function, which will ultimately lead to a healthier smile.